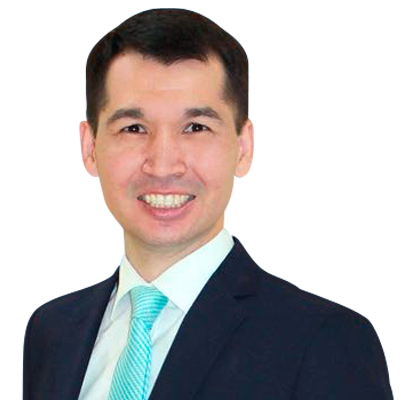 Almat Umbetov is a Trademark and Patent Attorney with IPR GROUP for Kazakhstan. An honours graduate from the South Kazakhstan State University, Kazakhstan in 2005, he graduated as a lawyer from the Faculty of Science and Law. Almat had his prior education at the Taraz State University, Kazakhstan from 1999 to 2003, where he also graduated with honours from the Faculty of World Languages. In the past Almat worked as a Director (Trademark and Patent Attorney) of an IP Firm from 2012 and was the Head of an IP Department also of an IP Firm from 2010 to 2013. Before this time he worked as an IP Lawyer from 2007 to 2010 at the same firm. Almat was also a Leading Examiner and Senior Examiner from the periods of 2003 to 2007 in several sub-divisions of the Kazakhstan Patent Office. As Trademark and Patent Attorney with IPR Group, Almat’s expertise includes responsibilities which cover daily IP correspondence; filing numerous application for trademarks, inventions, utility models and industrial designs with the National Institute of Intellectual Property (Patent Office of Kazakhstan); filing oppositions for provisional refusals to register trademarks; filing oppositions with the Appeal Board for abrogation of registered trademarks, domain names litigations, trademark litigations, patent litigations, working with Customs of CIS countries, and counterfeit seizures. He also applies for numerous patents, renews, defends and enforces said patents, as well as handles the legalities of when a patent is transferred or sold. In his work he relates daily with scientists, inventors, solicitors and barristers, to the benefit of the company’s clientele. Almat advises clients on intellectual property rights, and also tutors and mentors trainee trademark and patent attorneys. – Certificate of Completion, Basic problems of protection of Intellectual property rights, namely infringing goods from the Committee on Intellectual Property rights, 2007. – Certificate of a Patent Attorney No. 81, from the Committee on Intellectual Property rights, 2007. – Intellectual property of Russian Federation, at the Federal Institute of Industrial Property, Moscow, 2006. – Certificate of Completion, The Bases of the rights protection of the industrial property from the National Institute of Intellectual Property, 2005. – Certificate of Completion, DL-101 General Course on Intellectual Property from the WIPO Worldwide Academy, 2004. Almat’s hobbies include swimming, table tennis, hiking and camping.